Take an exhilarating flight in your very own 500 cc mini-hovercraft and enjoy the ultimate flying experience. You will be kitted out and prepared thoroughly before you pilot one round a prepared course for a uniquely novel and great fun experience.You will get practice laps then its you against the clock to see who can get the fastest lap. After instruction on controls and safety procedures test these machines to their limits by following an experienced leader over winding hill and forest tracks. You will see wonderful views over the Forth Valley and a variety of wildlife. If the dizzying heights can turn you off try your hand at some of the old school shooting in the form of Clay Pigeon Shooting ! Full instruction and equipment provided . 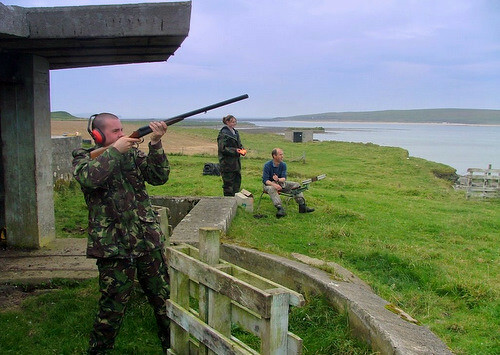 Clay Pigeon shooting is sheer fun and frenzy as you take your aim to down the maximum number of lays in some of the best equipped shooting ranges in the countryside. If racing is your forte quad biking will be a perfect choice to challenge your limits and to satisfy your racing urge. Hovercrafting - up to 10 minutes practice followed by timed session - helmets supplied. Quad biking - follow a leader over hill ground and through forest tracks for an hour. Waterproof jackets trousers welly boots and crash helmets supplied. 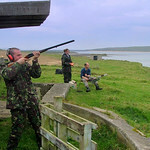 Clay pigeon shooting - 25 clays per person using 3 different traps. Individual tuition use of shotguns cartridges clays and ear defenders supplied.